Christian San Jose shares his lessons learned in working for such personalities, capturing their personal brands for their human-centric designed websites. CREATOR. “Always strive to be better than you are yesterday, and just keep creating,” says web design expert Christian San Jose. Christian San Jose may be one of the tens of thousands of web developers and user interface/user experience (UI/UX) designers in the Philippines, but one thing makes him stand out—he has already made websites for worldwide superstars. You may think that Christian got into this profession by some prophetic, pivotal moment. However, he started with graphic design, web design, and illustration as a hobby 10 years ago. “I just did these things for myself, and eventually I got better as I put more time into it,” he said. From the time he got started, the value of digital craft had slowly been growing. Getting the client to understand the medium is the toughest challenge, according to Christian. There are times they may not agree first, but he also considers it as part of his job is to teach his clients the value of good design. FIRST MAJOR CLIENT. “Eventually I landed one of my first big clients, doing the official branding and website design and development work for Kobe Bryant," Christian recalls. His specialty is human-centered design, where the user experience is the most important part to consider in any website or application, whether they are selling a product or just letting someone know about their brand. Soon after, he was offering his services as a freelancer. In 2011, he started his own design and digital agency, Create.ph. “I started freelancing for various marketing agencies in the US, and during my time there I built my portfolio and network,” Christian said. OLYMPIAN AND SPRINTER. 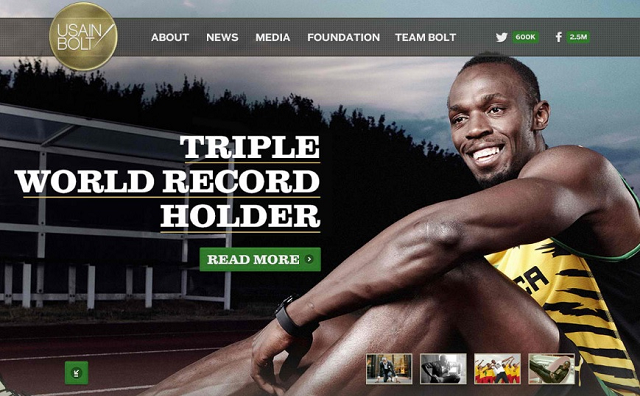 Christian also created the website for Usain Bolt. “Eventually I landed one of my first big clients, doing the official branding and website design and development work for Kobe Bryant. From there, successful projects lead to more work with athletes and entertainers,” he added. 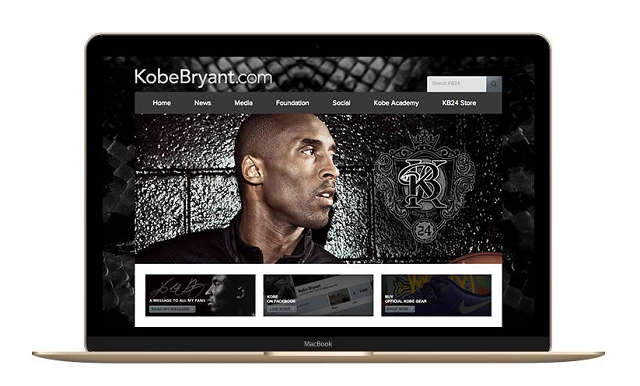 Aside from Bryant, he also made websites for other athletes and entertainers. This includes the likes of NBA stars Dwyane Wade and James Harden; Major League Baseball top players Jose Bautista and Albert Pujols; Olympian and sprinter Usain Bolt; hip hop recording artist Big Sean; singer and actor Usher to name a few. He has also worked for brands such Adidas, Adobe Inc., Mitsubishi, Nike, and Quiksilver. “Getting to work with clients like these made me realize how easy it is to work with them, since they're just ordinary people like us,” he confessed. ECOMMERCE. 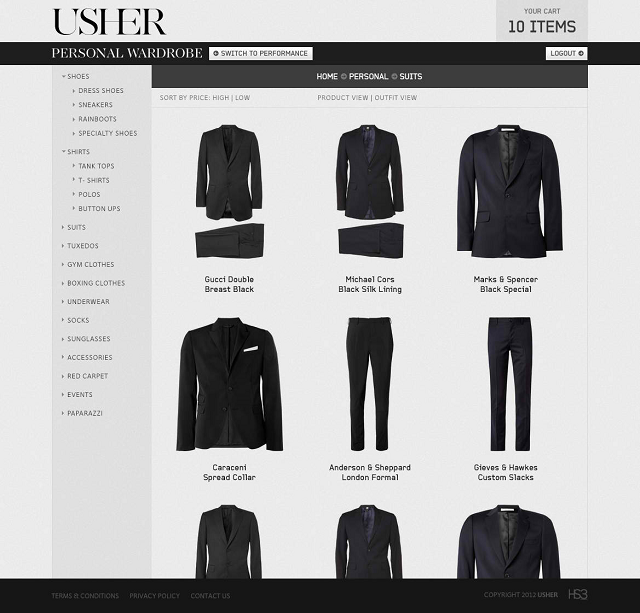 A screen shot of the e-commerce website Christian designed for singer Usher. He realized that these people are only put on a microscope because of their fame but deep down, they want the same things we do. He said that it was a big help that he was a fan of these celebrities because he already knew their personality or brand. A lot of people may say that what he experienced was only a stroke of luck, but for Christian, it still takes a lot of effort to keep up with big-time clients and to also keep the quality of his projects on a par with his clients. “Every project I had, I made sure to make it better than anything I had done previously, whether it's a new feature that's technically more efficient than before, or a design I haven't tried yet,” he said. He felt that he needed to step up his game every time he had a chance to work on these kinds of projects, because he knew that any time, a new person or company might come along and do it better than him. This allowed him to learn and grow more as he went along, and the clients appreciated that they were getting more than they paid for. 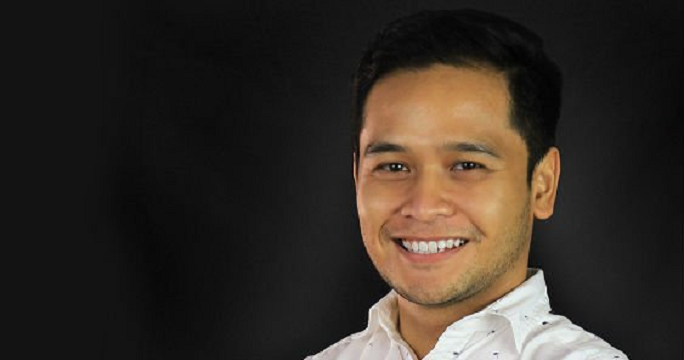 Currently, he is head of Creative Technology at MullenLowe Group Philippines, where he is focusing on doing more work that affects a lot of people. “Whether it's a web application that informs voters how much they lose if they sell their vote (magkanoangbotomo.com), or a simple web interruption that brings awareness at a large scale about the global refugee crisis together with the United Nations (bit.ly/UNHOMErefugee), we're constantly trying to help people in our own way, through good design applied in our digital work,” he said. And his advice for people who also want to work with big-time clients?